Those guys over at Make (who seem to be my new BFF) mentioned another button I made, which was inspired by Matt’s AWESOME Button post on Make, which in turn inspired Patrick from Milwaukee Makerspace to build a footswitch-style button, which got mentioned on Hackaday, which is where I saw the link to Flip’s 1-Key-Keyboard Project. So on the Zen Button post, Flip commented on his 1-Key-Keyboard Project, and noted that it had the same “dead-simple functionality” but was a much lower cost. The “dead-simple” part was also in the post’s description of my button, but I think that “dead-simple” had more to do with the parts and the build than the function, and here’s why I think that matters. If you go back to the original AWESOME Button post, you’ll see a few people (including me!) 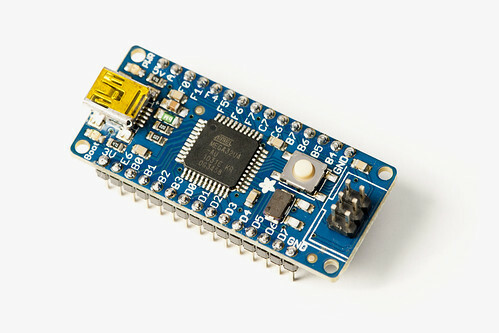 wondered if you could use an Arduino instead of a Teensy. Why? 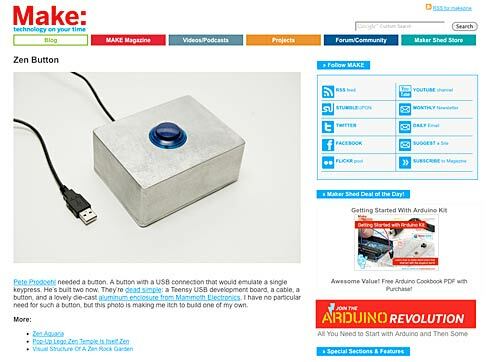 Because the Arduino is cheap, and easy, and lots of people already have one. But the Teensy is also cheap, and fairly easy, maybe just a wee bit more difficult, but still fairly easy, and you just plug the dang thing in via a USB cable and hey, what could be easier!? But with ease of use comes a price. If you look at Flip’s 1-Key-Keyboard Project, it’s probably what he considered “dead simple” but to me, I see a list of parts including either a ATTiny45-20PU, or ATTiny85-20PU, or ATTiny85, or ATTiny45… and then there’s a few resistors, diodes, capacitors, some prototype-board, and a programmer that works with the Atmel AVRs. Flip has done a great job writing up the project. I mean, I assume he has, but it’s way over my head. All the comments lead me to believe it’s pretty awesome. If you’re comfortable with everything he talks about, and it all makes sense, then that’s awesome too. Either way, I’m definitely glad Flip shared his project. 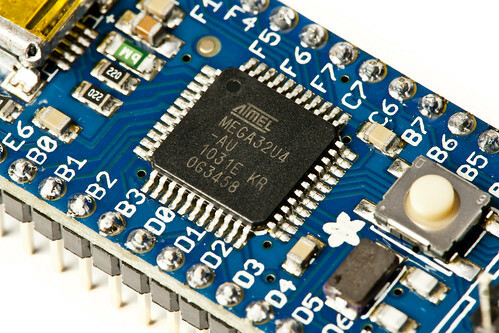 For those of us not ready to get that deep into AVR development, things like the Teensy or the Atmega 32u4 are simple enough to use that even beginners can get pretty far. Just in blog post comments and some emails I was able to help a few folks get their Teensys up and running. Remember, everyone starts out as a beginner… but that’s not to suggest that you eventually need to get to the level where you’ll be using an AVR programmer with bare chips if using an Arduino or some other board does what you want with less hassle. 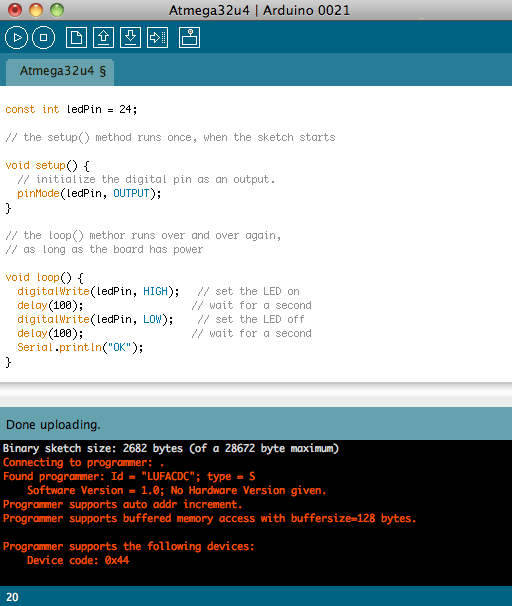 Easy really is one of the main reasons the Arduino platform became so popular.